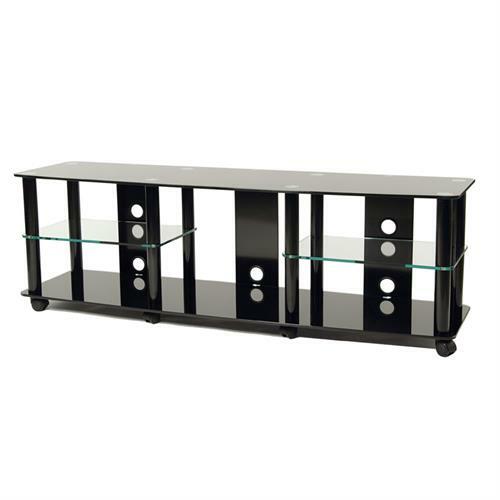 More on the TransDeco Black Glass and Metal TV Stand for up to 70in Flat Screens TD208B below. 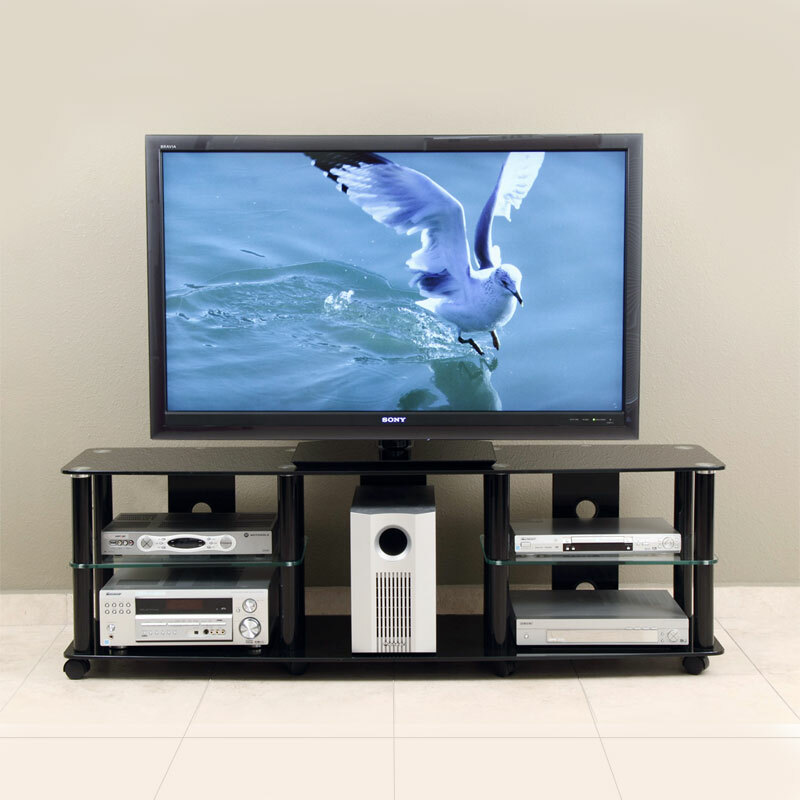 Easy accommodation for flat screen TVs up to 70 inches. 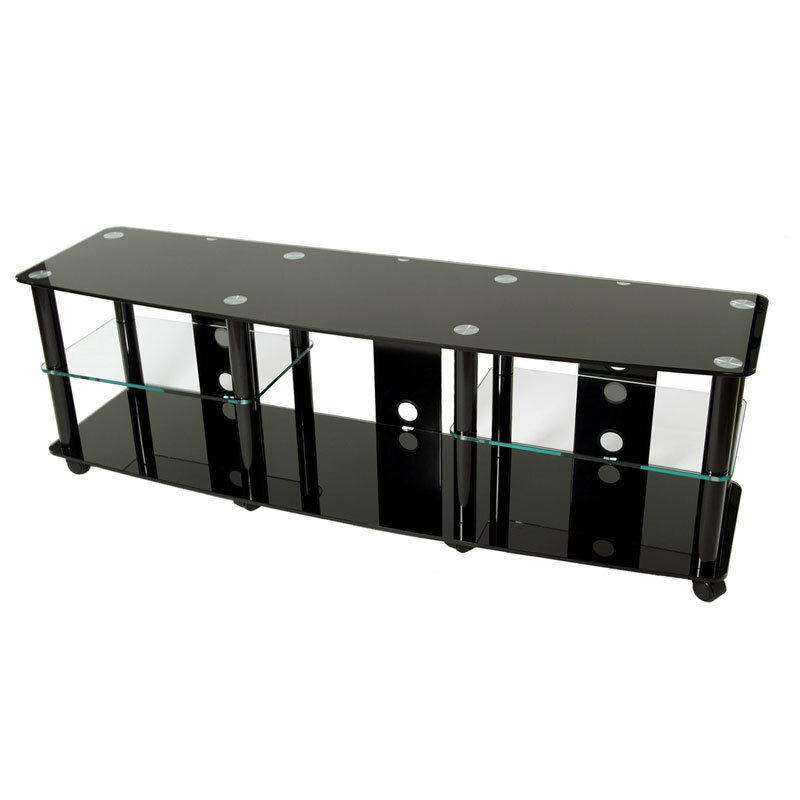 5 A/V component shelves, made from 8mm shatter-proof tempered glass. Stylish, curved-front design with beveled edges. 250 pound top shelf weight capacity. 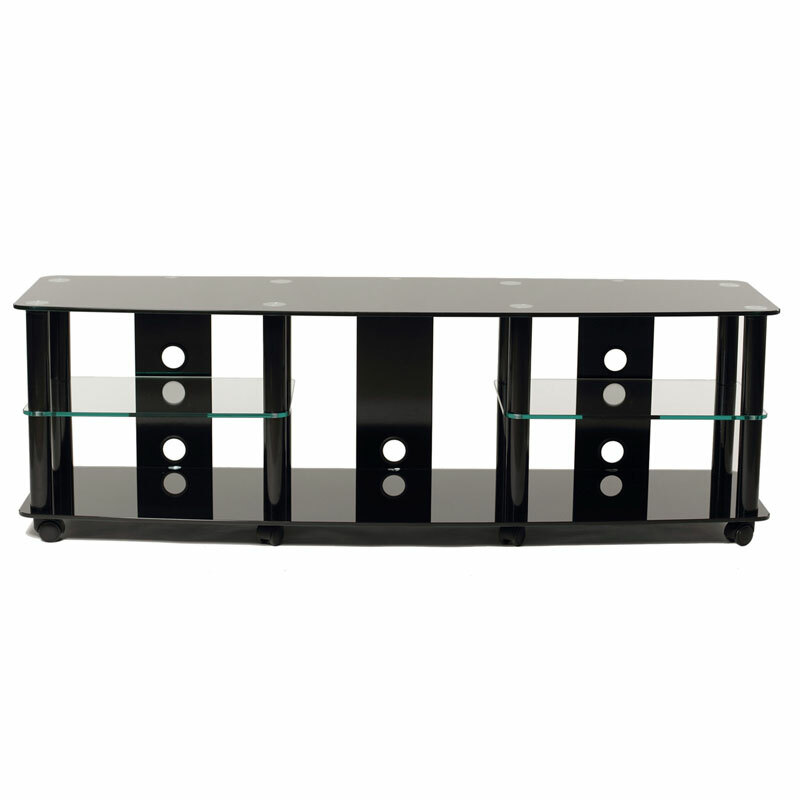 2 clear glass side shelves, measuring 8.9"H x 18"W x 14.5"D with an 80 lb weight capacity each. 8.5"H three-segment bottom shelf (with 125 pound weight capacity). Commercial-grade casters for easy mobility, maintenance and set-up. 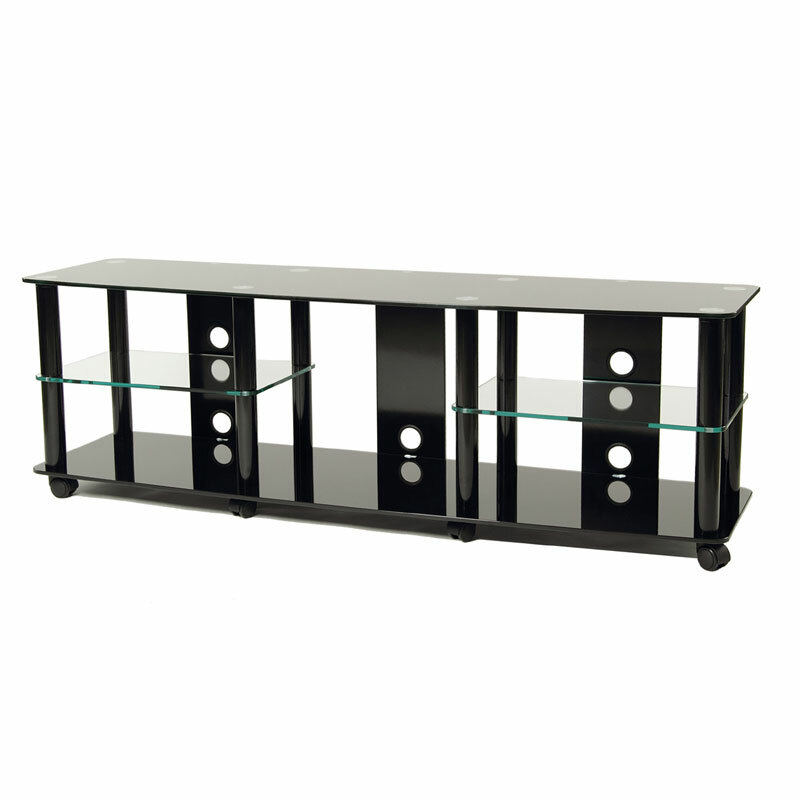 Aluminum and steel metal frame with a high gloss black finish.